Habiendo ayudado en la aceleración de la industria del Internet en México y en la creación del comercio dentro del mercado de Internet, tenemos la primera Academia de planeación de medio digitales para muchos publicistas, así como para sus agencias. Aunque hemos estado entrenando a publicistas y mercadólogos en México desde hace ya varios años, hemos descubierto que el mercado mexicano está propenso a emparejarse rápidamente con sus vecinos Americanos, así como un mejor desempeño en los objetivos y búsquedas en la red. 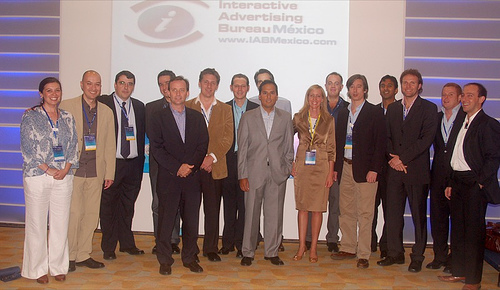 Having helped in the acceleration of the Mexican internet industry, and the creation of their internet marketing trade association, we ran the first Digital Media Planning Academy for dozens of advertisers as well as their agencies. Although we had been training media owners and marketers in Mexico for several years, we’re finding that the Mexican market is keen to catch up with its northern neighbour and apply the latest thinking in online targeting, search and customer acquisition marketing. The Digital Training Academy is bringing to Mexico the essential skills in digital marketing, publishing and strategy to proven international standards. More than 40,000 people have attended the talks and courses of our directors over 10 years, in more than 20 countries. Below we’ve highlighted a few of the programmes firms in Mexico City have been asking us about. We're selecting new training venues at the moment. Here's a picture of conference organizers and key speakers. Grazias! It's been a fantastic event!